ICICI Prudential Life Insurance has launched a new dual protection unit linked insurance plan ?ICICI Pru Smart Life?. The dual protection comes in a way of lump-sum amount at the death of the policy holder and in addition to this; the nominee will also receive the fund value at the end of the policy term. This Smart benefit is not applicable for the One Pay option. If the policy holder survives throughout the policy term, he will receive the fund value at the end of the policy term. The policy holder can opt to withdraw at once or can defer the payout using Settlement Option. 1. 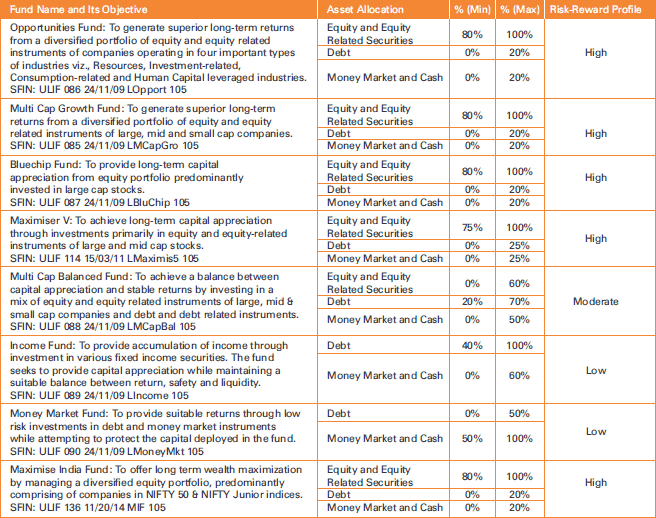 Fixed Portfolio Strategy: Funds to be selected from the below given 8 funds and can be switched only once in a year. 2. LifeCycle based Portfolio Strategy: The premiums will be invested in Multi-Cap Growth Fund as well as in Income Fund, based on the age of the Policy Holder. As he moves from one age band to another, the funds will be re-distributed based on his age. Should you split insurance cover or have multiple insurance policies? Why buy Max Life Insurance Online Term Plan?